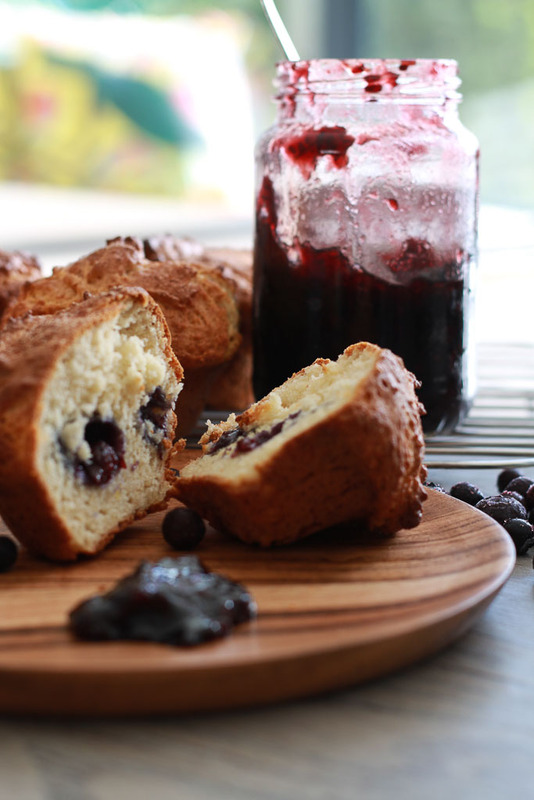 A gorgeous muffins filled with plump moist blueberries and a hint of coconut flavour, all gluten free. 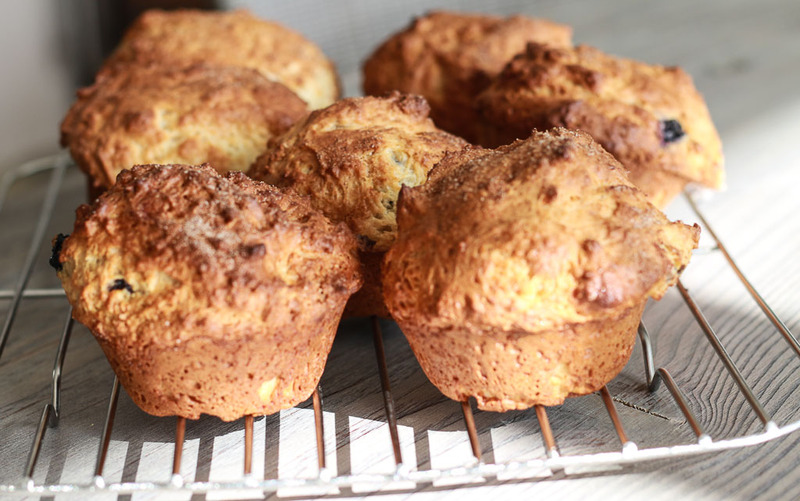 Super quick to make for a teatime or breakfast treat. Mix all the dry ingredients together. Combine all the wet ingredients, except the blueberries and the coconut oil. Stir the two mixes together with two or three good turns of the hand before adding the coconut oil. If you add the coconut oil to the wet ingredients it tends to set after coming into contact with the cold milk and yogurt. Stir the mixture until all the flour is combined, do this by hand and not with an electric mixer as it doesn't take long and you don't want to over mix it. Spoon the mixture into a greased muffin tray. The quantity should make 8 large muffins. Push 4 blueberries into each muffin making sure you push them deep into the batter. You don't want them getting burnt on the top of the muffin in the oven. Bake for 25 minutes or until they are nice and brown. 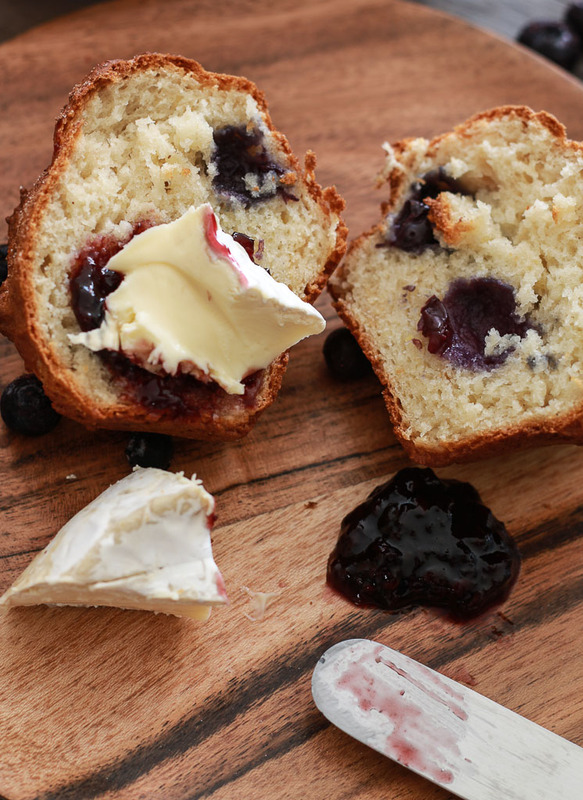 When cool load them up with blackberry jam and a good camembert for a real treat.